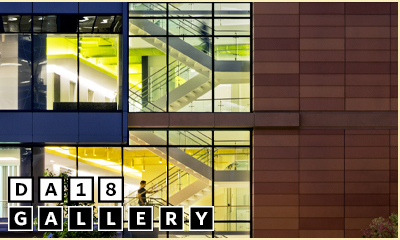 For architecture buffs, Architecture Week presents a week of activities, including tours, lectures, exhibits, and family activities planned by local architects. Architecture Week is held every April as part of the American Institute of Architects (AIA) nationwide celebration of our built environment. 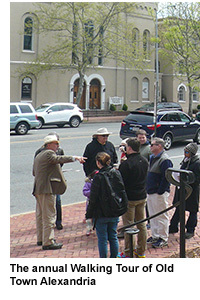 AIA Northern Virginia will offer a wide variety of architecture-themed events from April 20-28, including the always popular walking tour of Old Town Alexandria, focusing on historic churches this year, an exhibit of award-winning buildings at the Torpedo Factory Art Center, and family activities including a Scrap City and scavenger hunt through Old Town. A juried submission of travel sketches by architects organized as part of Architecture Week. 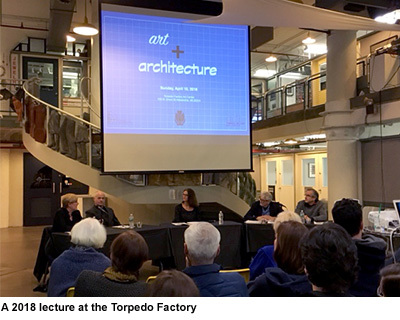 All architects living or practicing in the Northern Virginia area are invited to submit up to 3 sketches which will be juried by professional artists from the Torpedo Factory Arts Center – Matthew Harwood and Jinchen Han. Sketches are to be submitted in electronic format as a JPEG, in color or black & white, and with a maximum file size of 5MB for each image. Submissions are to be emailed to AIA Northern Virginia at sketch@aianova.org by 5:00p on Tuesday, April 9. Submissions after the deadline will be included in the overall show, but not eligible for inclusion in the juried competition. Award categories and the total number of awards will be determined at the discretion of the jurors. Award-winning sketches selected by the jurors will be featured on the AIA Northern Virginia website. All submitted sketches will be retained for presentation at future chapter events as a demonstration of the artist talent of architects in our area. Sketches will not be used individually without credit to the artist and will only be used by AIA Northern Virginia for non-commercial purposes. Submission of sketches to this juried competition indicates agreement with terms as indicated. Please contact the Chapter House if you have ideas for future events or are interested in joining the Architecture Week committee.